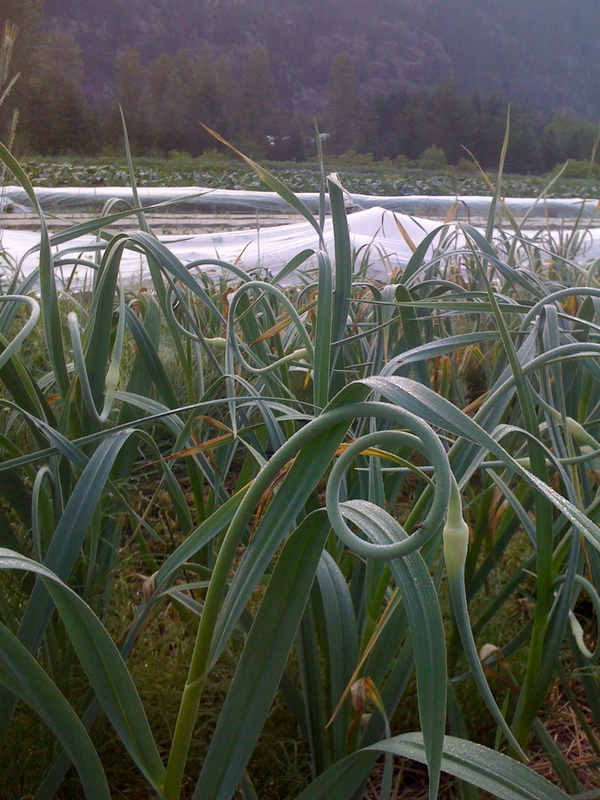 In Season this week…Garlic Scapes. Garlic Scapes, the flowering part of the garlic plant and are a seasonal delicacy. Available only in early July, they have the texture of asparagus, yet the flavour of garlic! This week, the sun has shined (a lot), and the warm loving crops of squash, tomatoes and cucumbers have doubled in size! This week, the season brings us some of the first carrots of the season, summer squash a plenty, nice greens, the last of the broccoli and cauliflower till the fall, and of course, the unique seasonal treat of garlic scapes. Suggested recipes include Garlic Scape Pesto and Pickled Scapes. Garlic Scapes have the texture of asparagus with the flavour of garlic. 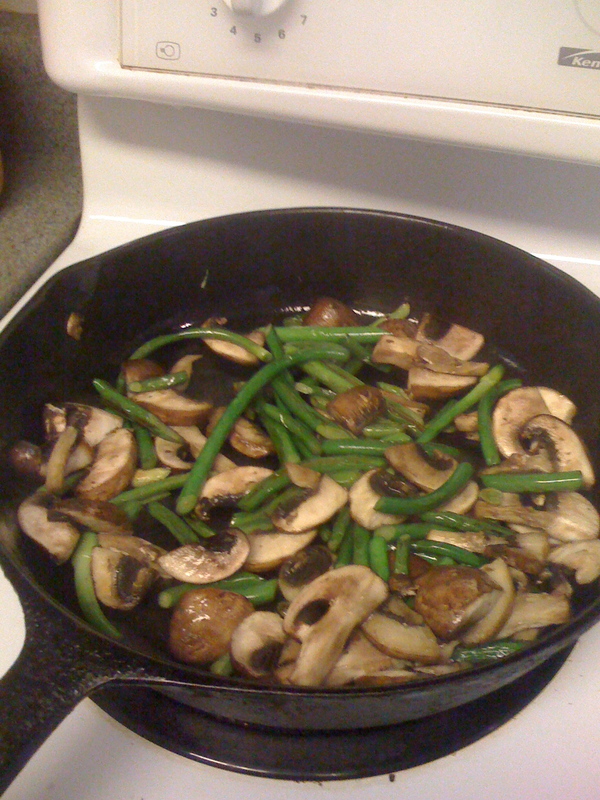 Enjoy sauteed, roasted or grilled!